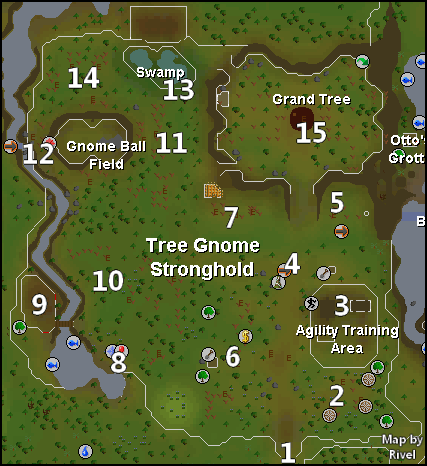 Have you ever wondered if the Tree Gnome Stronghold is a huge place to cut and fletch? Well, you guessed right! 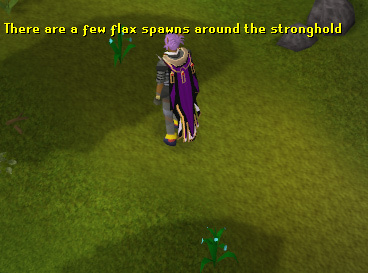 The stronghold is a fascinating place, and it is a good place to pick flax, woodcut, and even train Agility! 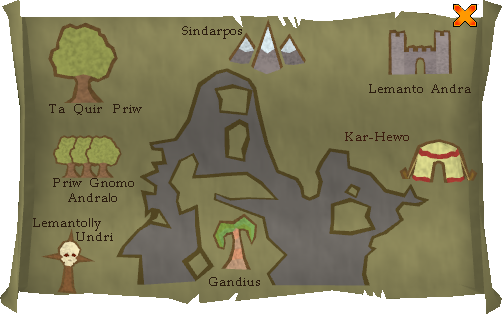 The stronghold is a short distance northwest of East Ardougne. This area is where many adventurers begin training their Agility. 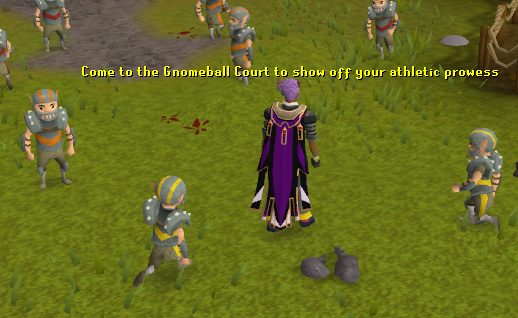 It's not a bad course, but takes a long time to get 30 agility. First you cross the log balance, two nets, balancing rope, and finally the pipes to get a total of 7.5 experience each. The tree branch and climbing down a tree are 5 experience each. If you complete all courses in order you will get 86 experience. To the left is a map of the agility course. This is a Tree Spirit. 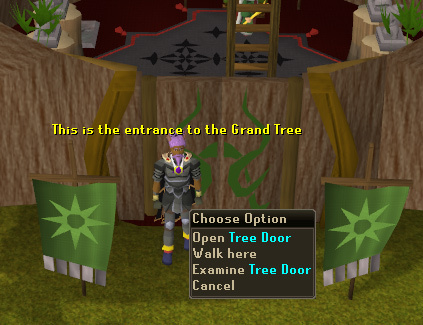 In order to use the tree spirit you must complete the Tree Gnome Village and Grand Tree Quests. 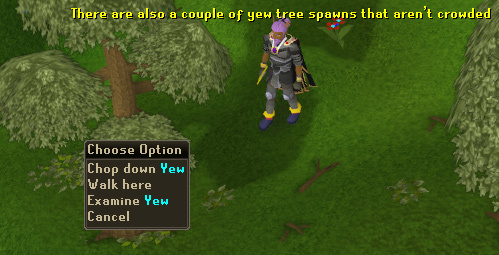 This tree spirit is good for getting to the yews in section six. 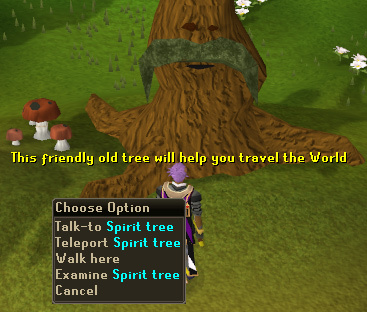 This tree spirit takes you to Tree Gnome Village only. 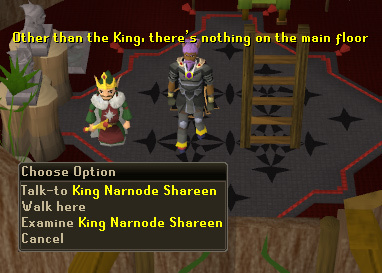 This area is for a couple quest like Monkey Madness and the Grand Tree. 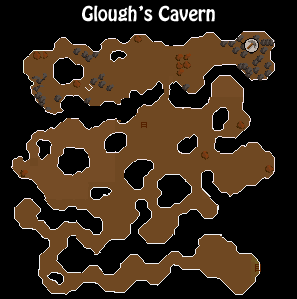 This is the home of Glough. There's a dungeon in his house too, and you can get to the dungeon by climbing up the tree. At the northern part of the cavern you'll find a mining area. This place is famous for cutting since that they have a bank so near. If you think about it, it's in the perfect place. 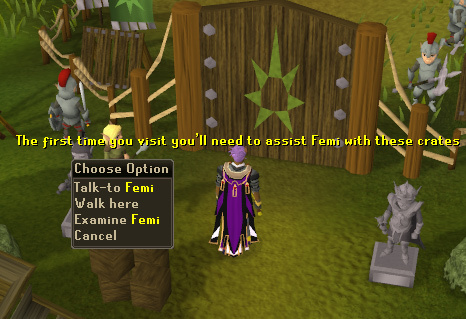 It's where you can have peace while high-alching, fletching and most the time empty. 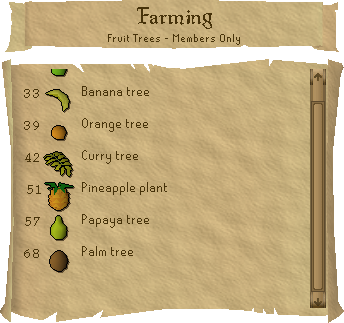 It has 1 flax picking spot, 1 bank, 3 yew trees, and 1 magic tree. This part is mostly useless. 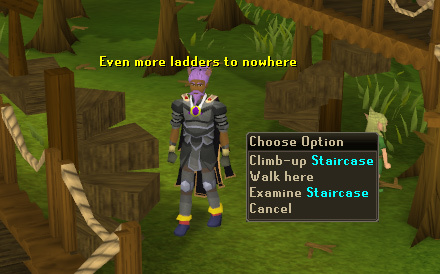 All you'll find is 3 ladders, and upstairs are gnome guards and archers. This area has a dungeon and a whole bunch of trees. Brimstal is found in the dungeon, and he will teleport you to the Rune Essence Mine. Outside of the dungeon there are no rare trees, just oak and regular trees. Up the four ladders are some gnomes and a gnome child. In this section are some level 28 Terrorbirds which can be very useful for training combat. Near the river are 4 fishing spots were you can lure or bait the fish, but the bank is quite far away. South of there are two swamp toads. 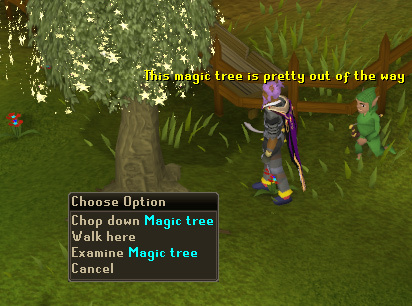 Another notable feature is the single Magic Tree which can be chopped down for logs. 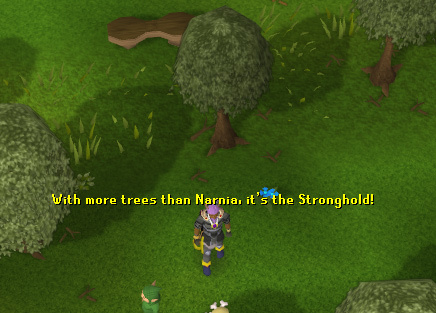 This section is full of trees, which can be useful for power fletching. There are about 10 trees around here, and up the nearby ladder is a gnome statue. Here are 3 ladders. The first ladder leads to basically nothing, while the second ladder leads to the Barman, who sells drinks known as "Specials." This section is the Gnome Stronghold Gnomeball field. This is a game much like soccer (although you hold the ball), where you run across the field, trying to avoid the other Gnomeball players until you score a point by throwing the ball into your goal. In this area are four ladders. In southeast ladder there is a gnome. The northeast ladder leads to a gnome women. The northwest ladder brings you to Anita, and down the southwest ladder are two gnomes. 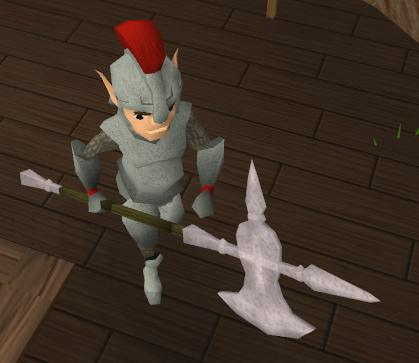 In the center is a gnome child. 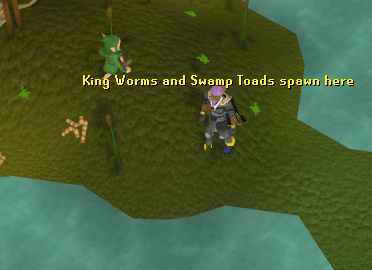 The swamp is home to lots of king worms and swamp toads, so if you need any of those, this is the perfect place to get them. 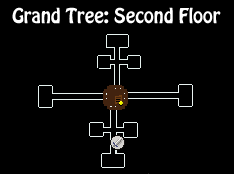 The Grand Tree is a great place to go if you need an unusual item or a drink, since there are a lot of shops selling things you will not see anywhere else. 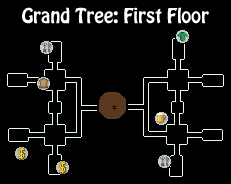 This is the main floor of the Grand Tree, which is mostly empty, except for King Narnode. The other floors certainly have more shops and things to do! At the southeast of the second floor, there is a barman that will sell you many unusual cocktails, but no beers for you (beers are a bit too strong for gnomes). Heckel Funch is located east of the barman and he can sell you various items that can be sometimes useful for quests, such as vodka. Be sure to have a look at his stock. Need to cook something? There is a range just south of the barman. 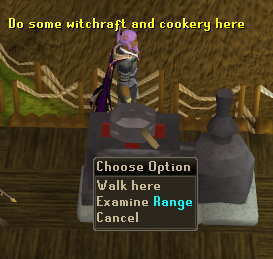 Of course, you won't go there to cook 1,000 salmons, since it isn't the closest range you can find from a bank in RuneScape, but if you are there and need to cook a couple of trouts let's say, then this range will be just perfect. There is also another range on the second floor that is located north of the 2 banks. 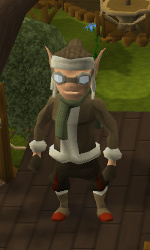 Rometti is the designer that keeps up with the latest trend for the gnomes. You can buy outfits from his shop. 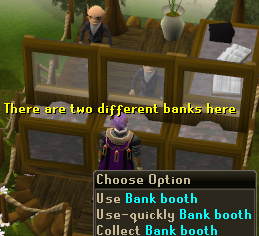 On the west side of the second floor, you can find 2 banks just like all the other ones around RuneScape. North of the banks, you can talk to Aluft Gianne, a cook that will give you his cooking book that will tell you how to prepare many popular meals enjoyed by gnomes. Agree to have a look on his menu, and the waiters will happily do their job, serving you. Hudo is the owner of a little grocery located to the northwest of the second floor. He sells various items, some useful while some other are weird. 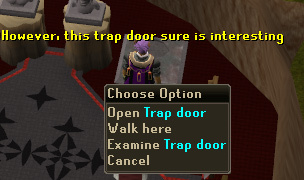 This floor contains a weapons store owned by Gulluck. Here you can buy swords, battleaxes and ranging equipment. 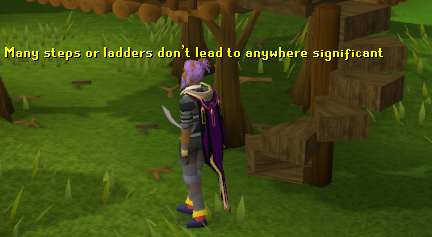 You will find a Gnome Glider in this part of the Grand Tree. 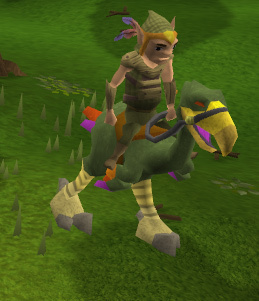 This glider is used mainly for quest purposes.